I never went to preschool, or nursery school as it was called back in the day. My mother stayed home with me and my two siblings, and I guess she never felt the need to send us to school before kindergarten. Despite not attending preschool, I was a good student throughout my academic career. Sure I had my weak subjects, but overall I excelled in my studies and eventually graduated with honors from a top university. I’m telling you all this to illustrate that I was in no way disadvantaged by missing out on preschool when I was younger. Now, as a parent of an almost two-year-old, I am forced to reconsider the value of preschool. This is a decision I thought I wouldn’t have to make for at least another year, but as more expectations are placed on younger and younger children, I need to come to terms with what I want as a parent. The questions about if and when my son will attend preschool are pouring in, and I often feel put on the spot by well – meaning parents. I wonder if they are judging me when I tell them I have no immediate plans to send my son to preschool. I question my parenting skills and fast – forward to kindergarten, picturing all the other kids reading chapter books, while mine is finger painting in the corner. Then I remind myself that peer pressure, whether real or imagined, is no way to make decisions for our children. I may have made some unconventional choices for my son, but did so because they were what my husband and I thought was best for our family. And preschool could very well be the right choice for us, just not right now. I’m happy spending my days at the playground, library, or just enjoying some quiet time at home. The world is enough of a classroom, and I enjoy watching my son take it all in. I know he is learning every day. My hope is that when he does start school, he won’t lose that sense of wonder. I hope that his love of learning will be nurtured by caring educators, and he will continue to discover great things in the world and within himself. 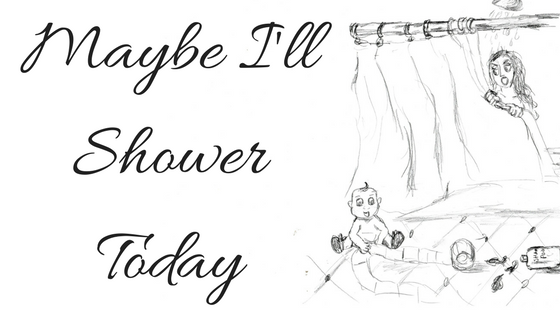 This entry was posted in Think on October 8, 2014 by Maybe I'll Shower Today.